Restaurants where you can enjoy koshatinu, hiding on the outskirts of Canton (Guangzhou). 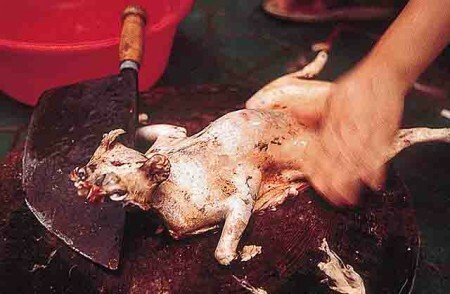 And the only sign “boiled alive cat» (水煮 活 猫) attracts people’s attention to the food served here. 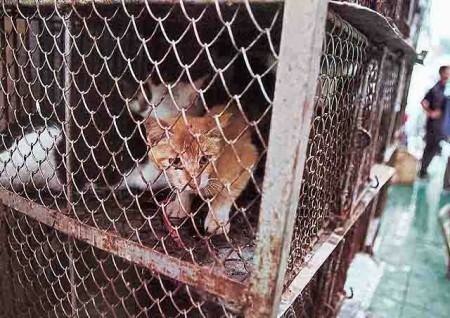 Cat meat costs 10 yuan per half kilo, cat brain is estimated at 30 yuan per half kilo, and the intestines of animals costs 50 yuan per pound. 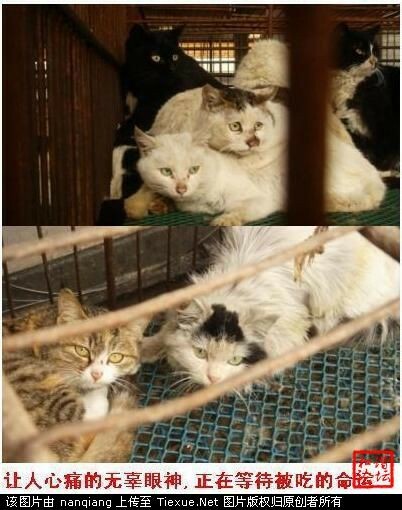 Most of the cats sold in Guangdong province (Guangdong), because the Cantonese (people of Guangdong Province) is particularly fond of cats. 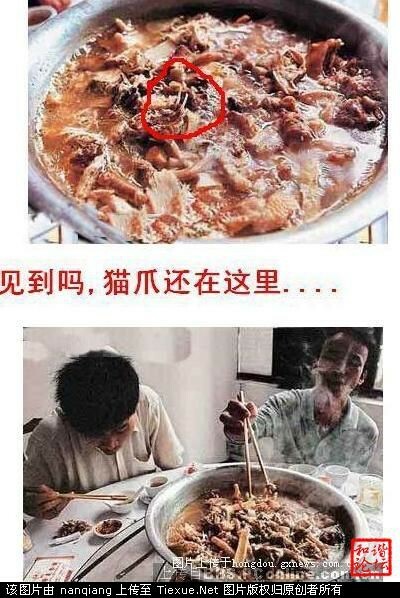 The use of cats in the food first became popular in the Chaozhou-Shantou region (Chaozhou-Shantou) in Guangdong Province. 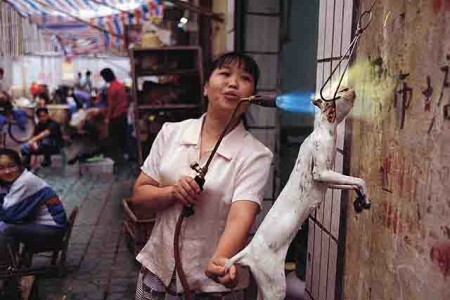 The Chinese, according to their traditions, believe that the cat meat is effective to help balance the yin and yang of man. 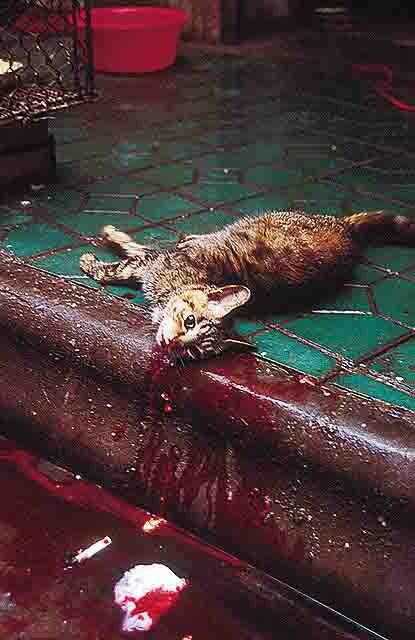 The reason why the cat meat in high esteem, is the naive belief in consumers that it has sanative effect. The following is the process of making the cat. 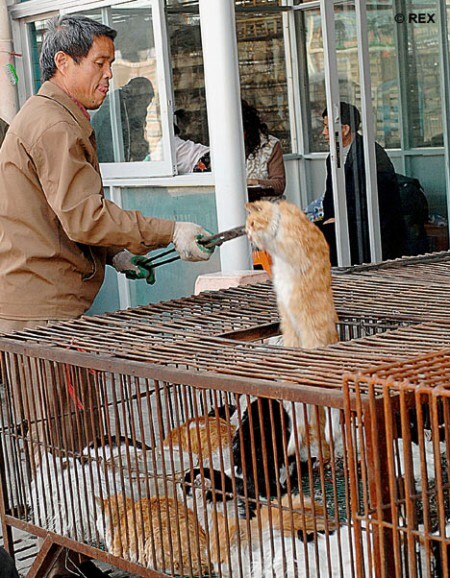 To ensure the freshness of cat meat, most cats are used brutal beating of restaurants and similar methods of slaughtering of live cats. This entry was posted on August 7, 2011 at 4:15 am and is filed under Uncategorized with tags beverages community, boiled cat, camelia, Canton, cat, china, eat cat, ecofren food & beverages community, ecofrenfood, food, Guangzhou, koshatinu, ying yang. You can follow any responses to this entry through the RSS 2.0 feed. You can leave a response, or trackback from your own site. 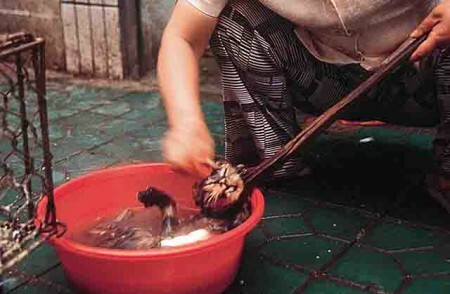 I don’t mind them eating cat, its their culture, but the brutality of it is disgusting. Animals have rights as well as humans, and so deserve to live in good conditions and die humanely with as little stress as possible. 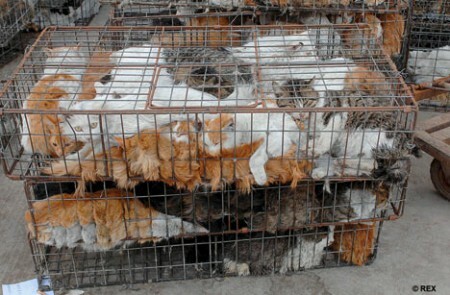 Poor cats though, I have seven! I don’t like people killing an animal of such high intelligence with capabilities of bonding with a human. 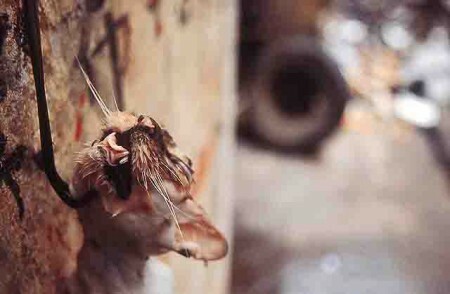 “The greater the suffering, the better the taste.” Well I do mind them eating cats and making them suffer deliberately. 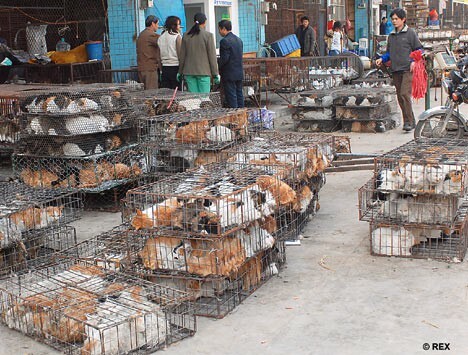 Instead of eating cats the chinese should eat each other mutually. The overpopulation problem resolved. I’m starting a blog soon but have no coding know-how so I wanted to get guidance from someone with experience. Any help would be greatly appreciated!